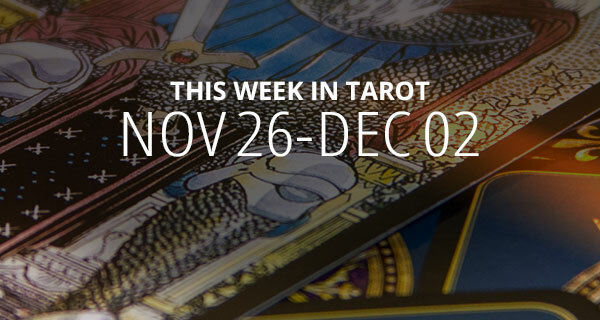 This weekly tarot reading returns to the angelic realm as we continue into the holiday season. I’ll be using Angel Tarot Cards to pull your messages. These cards are gentle, safe, and trustworthy! Day (Paige of Air): You’ll likely receive information that presents challenges or delays. The information will come from someone who speaks bluntly and without thoughtfulness. This card from your weekly tarot reading also means that a contract, agreement or another legal matter is on its way. Evening (King of Water): You’re a natural counselor (born of your experiences) who listens to people and offers them comfort and kind words. This card could also mean you’ll meet someone wise and compassionate with a rich inner life. You may also meet a trustworthy romantic partner or mediator. Day (Two of Air): You’re struggling with a decision. You have conflicting emotions or thoughts about which way to move, so you’re avoiding making a choice. Intuitively, you know what to do, but you are afraid to act and are at an impasse. Compromise is called for. Find an impartial mediator to forge a resolution, or call your favorite love psychic to help you. Have faith in your own wisdom and move forward! 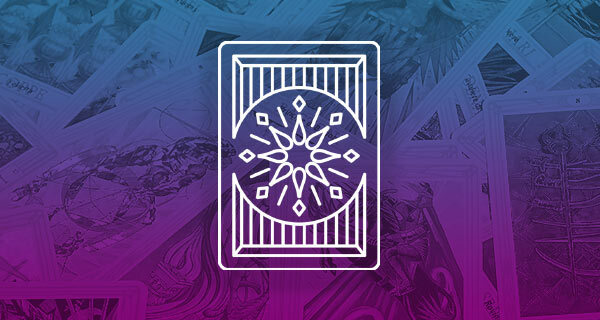 Evening (Queen of Air): Your clear decision-making abilities are certainly needed right now. See through any hidden agendas. It’s time to remove anything or anyone from your life whose presence no longer serves your greatest good. Still, try to see the underlying humor. Day (Page of Earth): You’ll receive good news about financial matters, and your plans will move forward at a steady pace. Also, you may adopt a new interest or passion too. Be patient. Be frugal and definitely do your research. This may even involve returning to school. Evening (The Empress): Your creativity and hard work are certainly bringing you great rewards. Enjoy the beautiful things in life, knowing that you deserve to be wonderfully provided for. Take excellent care of your body with massage, yoga or anything that makes you feel healthy, vibrant, and luxurious too. Call upon Archangel Gabriel to inspire your creative ideas and give you the courage and the opportunities to express them. Day (Six of Fire): Bravo! This is a time of great achievement and success. People think highly of you, and your reputation is excellent. You’ve made good decisions and worked hard, therefore, good news is on its way. There may even be some sort of public acknowledgment of your contributions, or you may be given an award for your achievements too. Evening (Seven of Water): You may be faced with a complex decision, and it’s difficult to choose between the options available to you. Do the research necessary or seek counsel from a mentor or a life path psychic. It’s certainly time to stop procrastinating and get busy! Try to focus, and avoid unrealistic expectations. Day (Four of Fire): You’ve worked hard and are now rewarded with contentment, peace, and abundance. Matters at home are also rewarding. Someone may be getting married or planning to move in with a partner. Peace and harmony have been established, and now you seek stability and commitment. Count your blessings and feel elated. Evening (#13 Release): It’s time to move on because this project or phase of your life is now complete. There’s no benefit in remaining in this situation. Instead, shake off the old and welcome the new! You may experience a sense of relief at this ending, or there may be some sadness. Either way, it’s time to leave that which you have outgrown. Take your time to adjust to this change in your life. Archangel Azrael heals your heart when changes and losses bring about grieving. He will help you move forward fearlessly and help you let go of the past. Day (Queen of Water): Emotional issues or relationships evolve to a new level. There’s a sense of peace and calm within you. Your feelings and insights about others can be trusted. A person of deep but mature emotions appears, and they’re able to sense what others need and lovingly provide it. Perhaps there’s also an intuitive or psychic person in your life who trusts his or her perceptions and uses them to navigate the physical world successfully. Evening: (King of Fire): Focus, focus, focus, and full-steam ahead! Devote your energy and time to the task at hand. You’re in a position of leadership, and you inspire others with your enthusiasm. You may also receive advice as well. A natural-born leader with great charisma, charm, and flair may appear. They’re also creative, idealistic, ambitious, influential, and motivational. Day (#12 Awakening): It’s time to review your plans and look at things from a new perspective. You may need to step outside of the norm right now and embrace your unique beliefs. It’s also a good moment to be generous with your time, attention, and gifts. This “tithing” is certainly returned by the universe manyfold to you! Archangel Gabriel is the angel who helps people become divine messengers of love. Speak, think, and act from a place of love and others will be drawn to you. 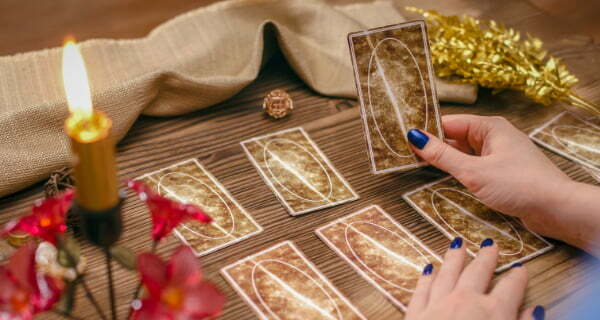 Evening (Five of Fire): You’re experiencing some challenges because other people around you have different goals and values and there’s a disagreement as to how to proceed, along with a clash of wills. There is a need for understanding and clarity in order to come to a resolution. Wow! Yes I’m really trying to make a decision but it’s so hard bc I care so much. I’m just not sure if I should hold on or let him go. You are so on point with everything, I’m just so ready for my new beginnings. I need help and advise. 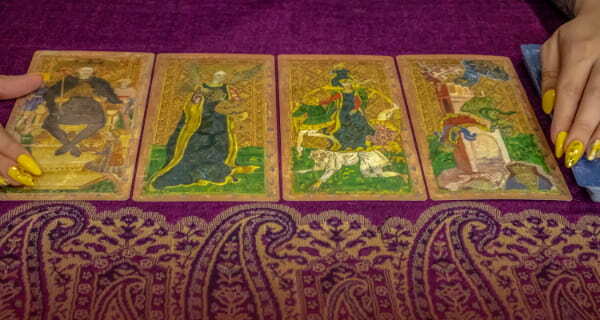 Julia thank you so much for taking the time to prepaid my weekly Tarot Reading. I shall read them weekly and heed to your advice. Will I come into some money soon ,will I ever become pregnant again .